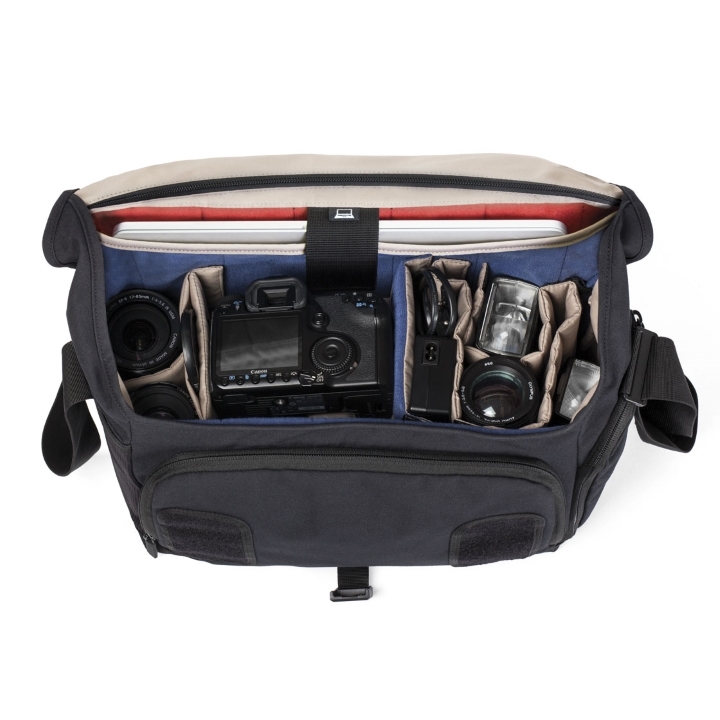 If the semi-professional SLR comes with a medium-sized zoom lens, medium-sized zoom lens, a standard zoom lens and a 7.9 "tablet (iPad mini), the KingPin 4500 is just what you need. 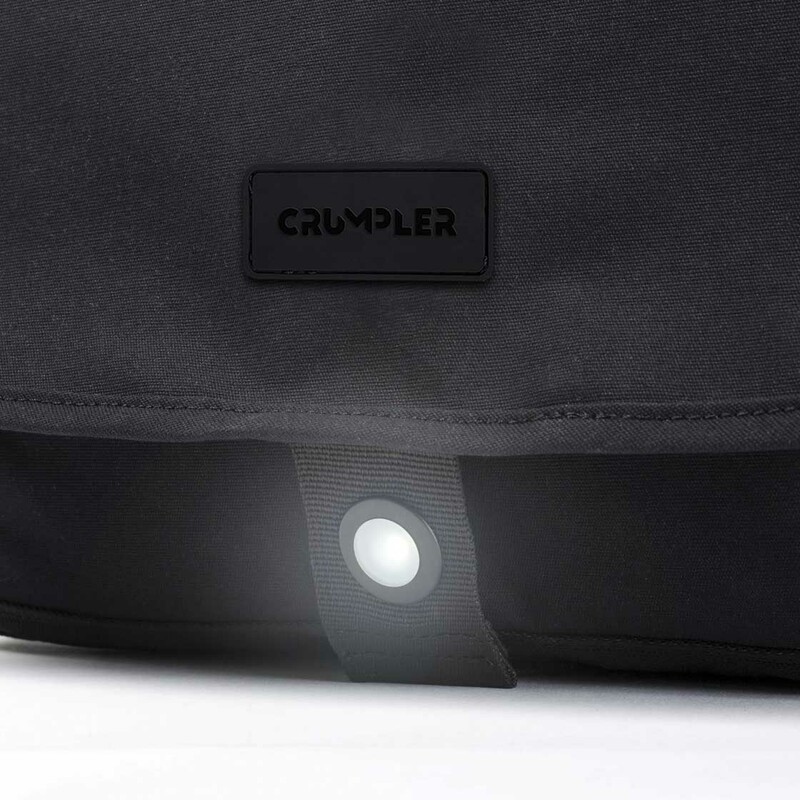 but highly professional back padding with breathable mesh, external zip pocket and side pockets, integrated loops for attaching accessories and the adjustable flap with magnetic closure are just a few points that characterize them.As a special highlight, there is a fold-out webbing with integrated eyelet for the LED light "Mr. Spot ", which ensures visibility even in the dark. It's hard to believe what's behind it. But it really is that the KingPin 8000 in addition to a semi-professional SLR camera, 3 lenses, flash and accessories even a 9.7 "tablet and still looks so incredibly good. 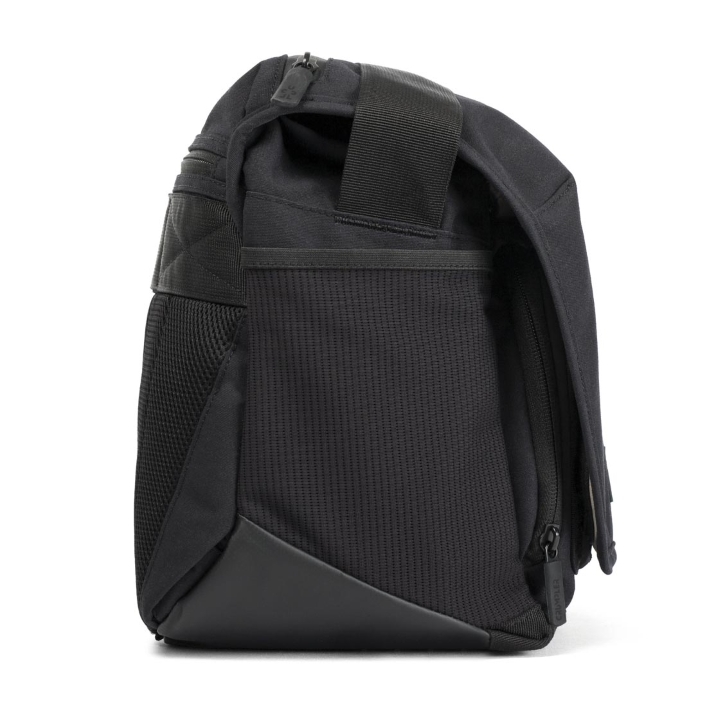 Soft canvas material on the outside, side pockets, plastic-coated fabric and webbing as scratch protection on the floor, the whole in elegant black with subtle logo. 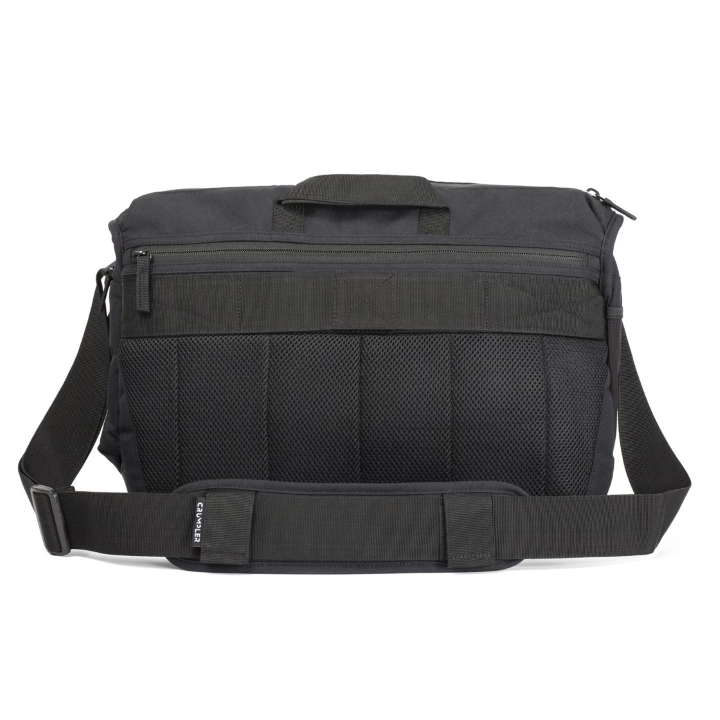 Internally adjustable foldable dividers, organizer with memory card pockets and so much more. And the fold-out webbing with eyelet for the LED light "Mr. Spot" may confidently be called a highlight. 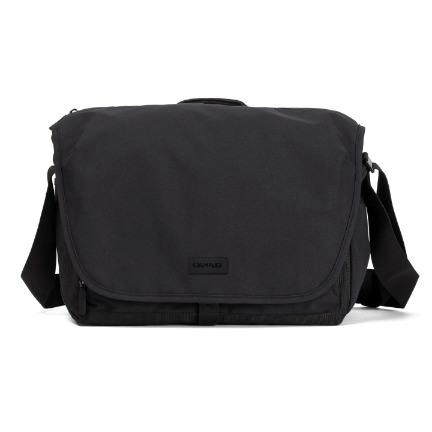 Comfortably carry two DSLR or mirrorless cameras, four lenses, and related accessories with the black KingPin Camera 9000 Bag from Crumpler. 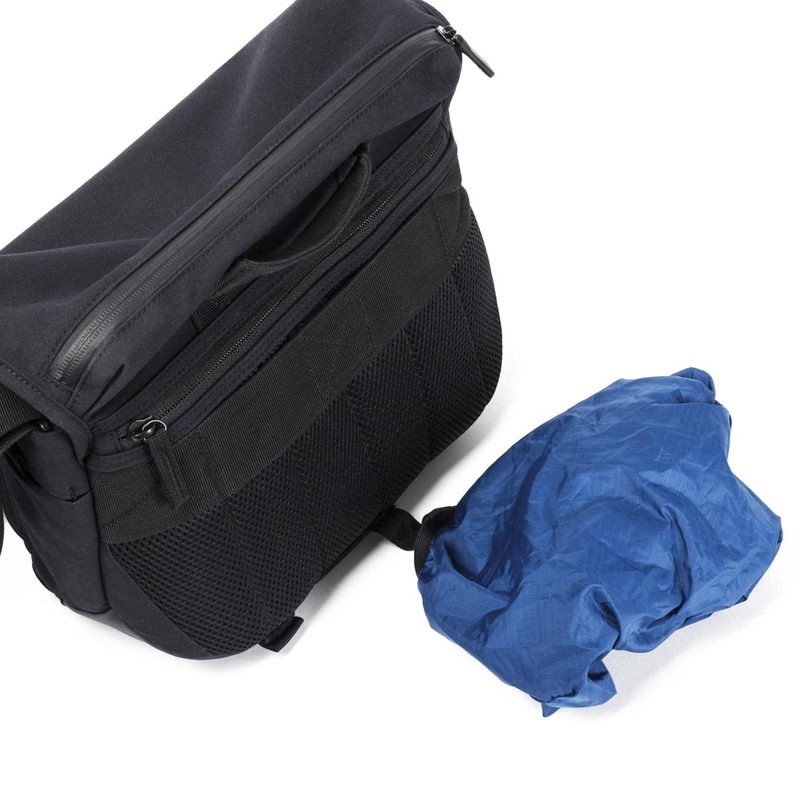 This canvas bag features a main compartment with touch-fastening dividers, clear-mesh zip pocket under lid, zippered top access, magnetic buckle-closure, and a padded sleeve for an up to 13" laptop. 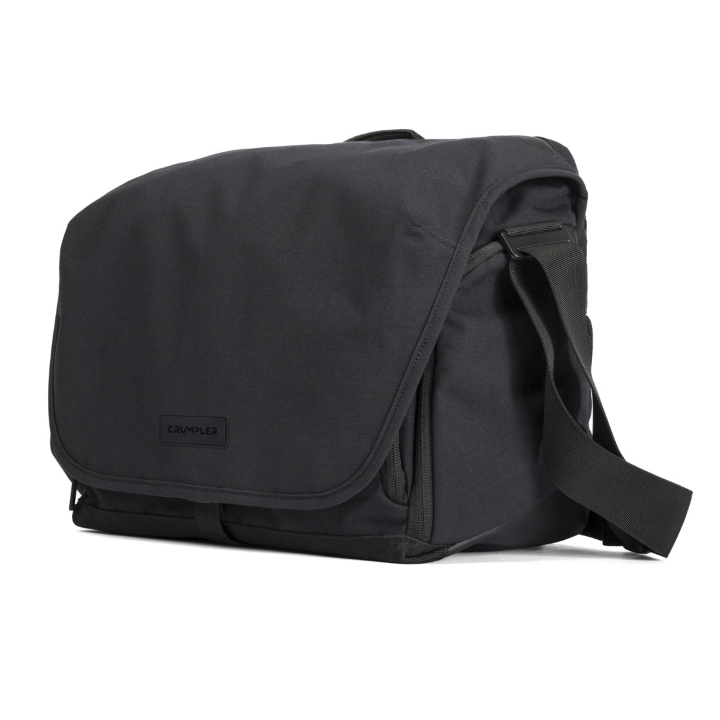 For added storage the bag has a rear zip pocket, dual side pockets, and a front zip compartment with inner pockets. 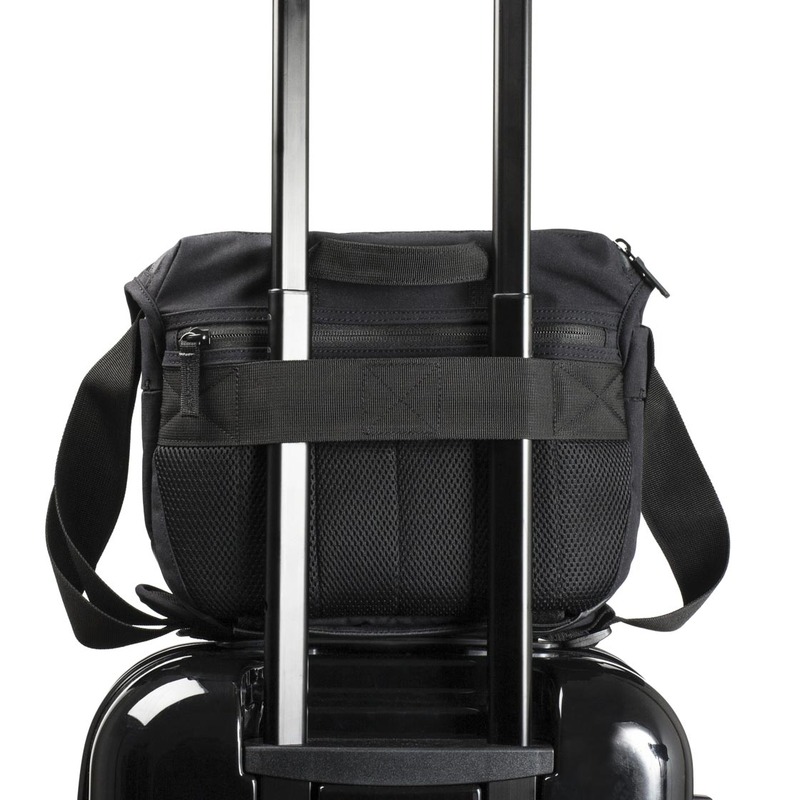 Photographers will appreciate the webbing loops for securing a small tripod, and the removable "Mr. Spot" LED light.